leWeb is one of the biggest and oldest European event for entrepreneurship. It’s always been well attended by entrepreneurs from all over Europe and beyond. 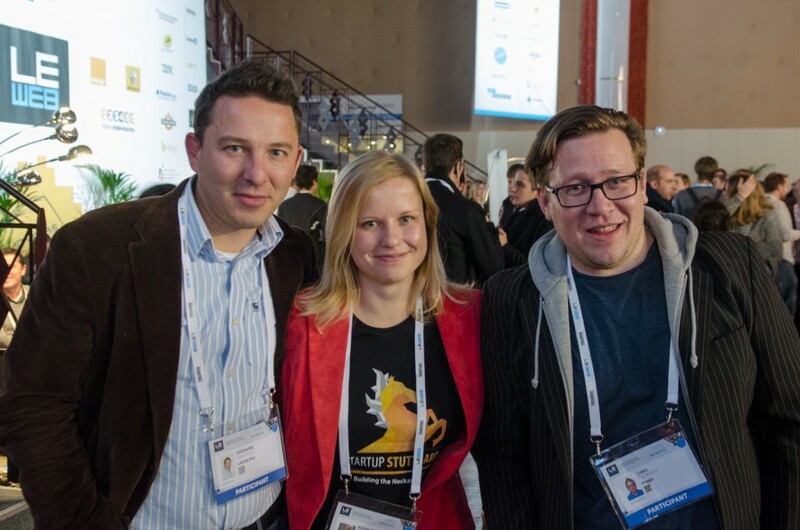 More than that, people the startupers admire – we read their books and blogs – are actually speakers at leWeb. And they keep coming every year. After Techcrunch Disrupt Belin and Web Summit in Dublin, leWeb wasn’t in our program for this year, but Chris won a free ticket from Invest in France and that was a good sign we should attend. It was exciting to be there and see the French way of doing events. It’s relaxed but at the same time quite exquisite. Techcrunch Disrupt has the hipster flavor of Berlin, Pioneers Festival enjoys the most luxurious venue being held in Hofburg Palace in Vienna, WebSummit pretends to be the biggest event in Europe, while leWeb is just French, and it’s French in a very good way – extremely good food all day long, comfy lounge zone to meet people and charge your devices, the best lineup of speakers ever. Need not to say we spent most of the time networking, not just during parties but during the day as well. Well, couple of the speakers were must listen as these guys are setting trends and always have so much insight on the whole ecosystem so we decided to better sit and listen. Unbundling – deliver much more focused services vs. the old model of newspaper with business pages, culture, sports section. This is already happening in banking, education and entertainment. He stated he doesn’t look at technologies but in trends, that will have behavioural and social impact. Of course mobile, big data and machine learning are hot technologies but it’s not technology itself, but it’s practical implementation. Can’t agree more working on elaborate machine learning technology such as Imagga’s image auto-categorization. 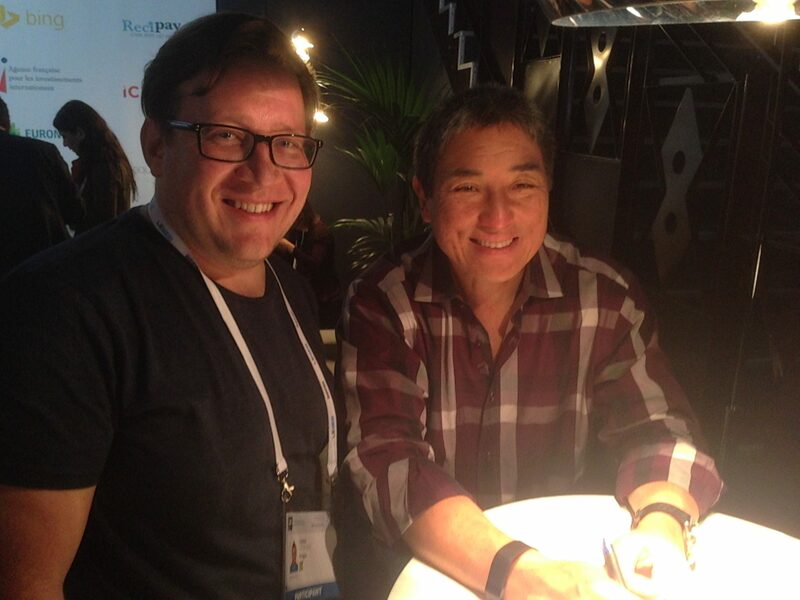 Another much expected talk was Guy Kawasaki’s – a legendary role model for the Bulgarian entrepreneurs. What a precious moment to have the chance to chat for a minute with Guy and get his best selling book The Art Of The Start signed by him.